Few of us know what to do when a loved one passes away. That’s where Absolute Legal Services can assist. We make sure you are guided through this difficult time with ease and compassion. You will of course need to employ the services of a Funeral Director. If the deceased person has a bank account, you can apply to their Bank (without a Grant of Probate) for payment of the funeral account. Usually the Bank or financial institution will require to sight a copy of the Death Certificate and sometimes a copy of a Will. Payment of the Funeral Services Account is generally the only amount that will be released in a person’s estate without undue legal formality. So what do you need to do after the Funeral Service? You will need to locate a Will for the person who has passed away and check who is appointed Executor. You will also need to find details of all assets and liabilities owned by the person who has passed away and whether owned solely or with another person. We have provided a list below of institutions you may need to contact depending on the deceased’s assets and/or liabilities held. Who should contact to provide notification of a person’s death? Telephone company Insurance for home, motor vehicle, life. I have been named Executor in a Will. What do I do? The Executor can be a person or persons who administers the affairs of a loved one’s estate and to ensure the beneficiaries named in the Will receive their entitlements. As an Executor you need to locate all the deceased’s important papers and documents relating to their assets and liabilities (see list above). If the Estate requires a Grant of Probate, generally the Executor will be called upon to pay the Court filing fees and advertisement fees, which are reimbursed to the Executor as soon as funds in the Estate have been released. Probate is an order of the Court confirming the Will of the deceased is valid and that the Executor has the right to administer the estate. 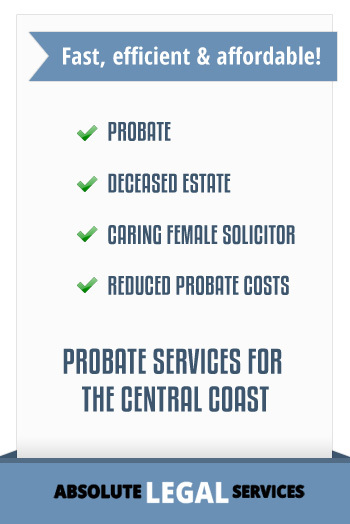 When applying for Probate you will need to complete a number of forms. You will also need documentary evidence of death, proof of proper signing and attestation of the Will, and details of all known assets and liabilities. Why do I need to obtain a Grant of Probate? Many of the asset holders/institutions will require a Grant of Probate before they will release assets. Generally, house/land and other assets over $25,000.00 will require a Grant of Probate. All assets and liabilities require values as at the date of death of the deceased for Probate application purposes and for division/distribution of assets in accordance with the Will. If you have been appointed Executor, you will probably need the assistance of a Solicitor to deal with the duties and obligations of administration. Can I look after the Estate without the services of a Solicitor? Yes, you can however, you will need to ensure you are conducting your role as Executor in an appropriate manner and comply with various laws and requirements of institutions; otherwise, the beneficiaries may have a rights against you to claim for loss or damage. If a Grant of Probate is required you can also do this yourself, however, you may find the Supreme Court rules complex. You can of course obtain legal advice as to what you need to do for a small legal fee if required. Generally, if the deceased owned assets jointly with another person then those assets and/or liabilities transfer to the surviving joint person. For example: a husband and wife own their home, motor vehicle, furniture and bank accounts jointly. The husband passes away; the wife can arrange transfer of all the assets and liabilities without the need to obtain a Grant of Probate. The home is transferred by a special title document; the motor vehicle is transferred by completion of required RTA documents and the Bank accounts by notification to the particular financial institution. If this is your situation we can assist you to transfer these assets. What happens if I retain the services of a Solicitor to look after the Estate? At Absolute Legal Services we would request a lengthy appointment to obtain full details of the estate and advise you appropriate as to your role. We correspond with all institutions for details of the assets and liabilities at the date of death and also ascertain whether a Grant of Probate is required. We provide you with correspondence detailing what we are doing and the estimated time frame for completion of the Estate. We also must provide you with a Costs Agreement and Costs Disclosure. The Supreme Court has sliding scale of fees for obtaining of the Grant of Probate based on the net value of the estate. Generally, our fees will be less than that prescribed by the Supreme Court. For all other work associated with the deceased person’s estate we charge at an hourly rate and again will give your full disclosure of those estimated fees. In addition to legal fees there are various Court filing fees (based on the net value of the estate) and Probate Advertisement and Distribution notices. Other search and registration fees may apply for transfer of title to a house or land. What do I do after probate is granted? Once probate has been granted, the executor must collect the deceased’s assets and take steps to pay the funeral and administration expenses and any debts or taxes – including income tax – the deceased owed. In view of possible liability for capital gains tax, it is important to find out the date and cost of acquisition of the deceased’s assets. Funeral expenses are to be paid first and there is a particular order in which any other debts must be paid. 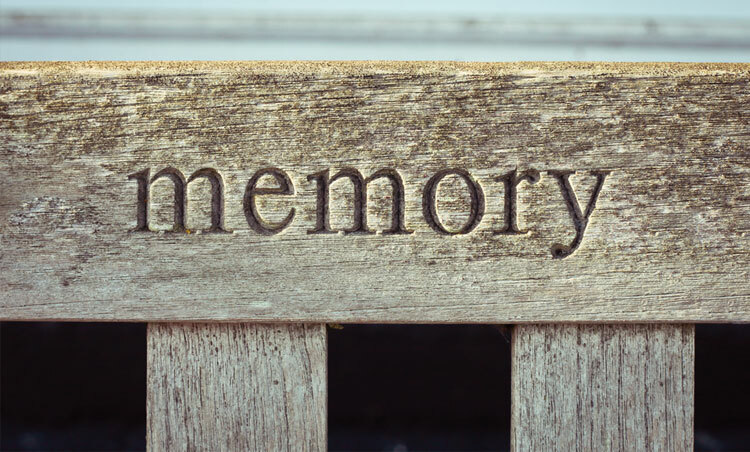 After funeral expenses are paid, the executor is entitled to payment of any actual expenses incurred relating to the administration of the estate before other debts are paid. Once debts have been paid, assets are either distributed according to the terms in the will or they are sold so that money can be divided among the beneficiaries. When and how are the assets distributed? When all assets have been identified and, if necessary, sold to raise cash, and all debts have been paid, the remainder of the estate can be distributed to the beneficiaries after the executor has published a notice requiring anybody with a claim against the estate to provide particulars of the claim within a specified period – not less than one month. 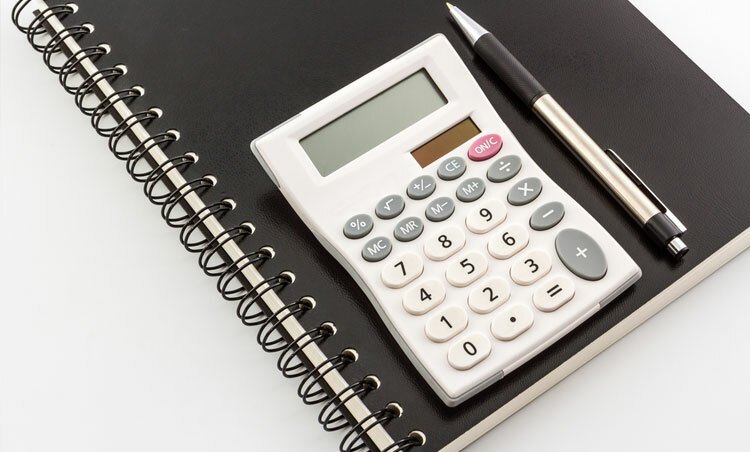 The executor must prepare a distribution report and statement for the beneficiaries – given to them when they receive their share of the estate – showing what the assets were, how much money resulted from any sale of assets and what expenses and debts were paid from the proceeds. If there is no Will there will be no executor. If you are a relative entitled to the whole or part of the estate of the deceased, you can apply to the Probate Registry of the Supreme Court for a Grant of Letters of Administration; once granted, these make you a personal representative of the deceased and you then proceed in much the same way as an executor. A Grant of Letters of Administration can be an expensive and time consuming procedure however it is required if there is no Will. There are rules laid down by law about how assets are to be distributed when there is no will. Briefly, a surviving spouse receives the whole estate if there are no children, or all `household’ belongings plus the first $200,000 of the estate and half the remainder if there are children. The children divide the other half of the remainder. The spouse may elect to take the matrimonial home as his or her share. If there is no legal or de facto spouse or direct descendants, the deceased’s parents receive the whole estate, otherwise it goes to brothers and sisters or other close blood relatives. If none of these relatives are alive, the estate goes to the Government. How can Absolute Legal Services help you? Contact or Email us for Free initial advice and no obligation quote on Fees for Probate. 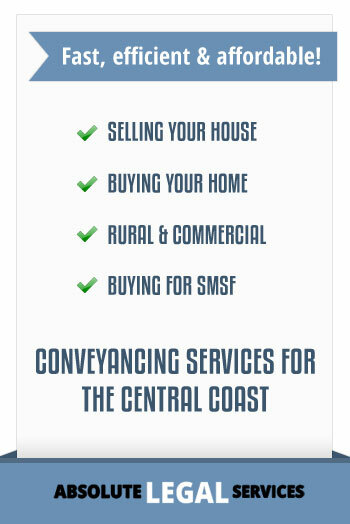 Call us now at (02) 43884410 to discuss your property transaction. 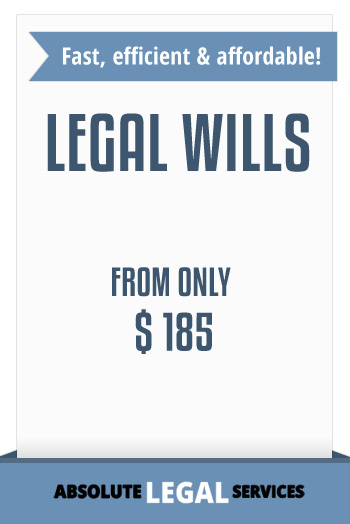 Call us now at (02) 43884410 to discuss your Will Requirements. 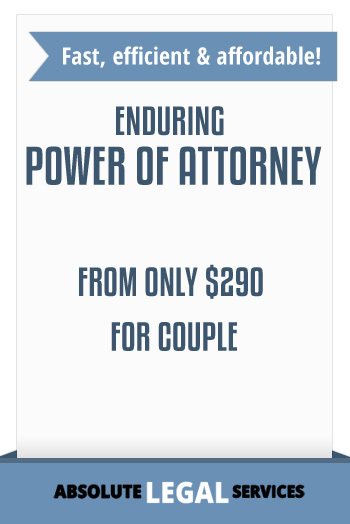 Call us now at (02) 43884410 to discuss your Power of Attorney and Enduring Guardianship Requirements. Call us now at (02) 43884410 to discuss your Deceased Estate inquiry.